How you would describe your style: Chill and earthy. 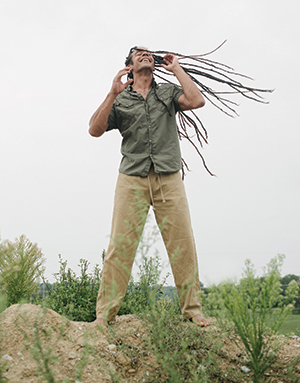 The part of your style you’re known for: My dreadlocks and for not wearing shoes. The piece of clothing or accessory you couldn’t live without: Keffiyeh scarf for chilly mornings. Any fashion regrets? Maybe my mock turtle neck in eighth grade. Where you shop locally: Good Vibes apparel designed by Amy Koening and created by Flashprint. Also, Back Country, Soul Flowers and Locally Grown. Hobbies or passions: Reggae music. Not so much: Wearing shoes. Early for: Still trying to find this one out.